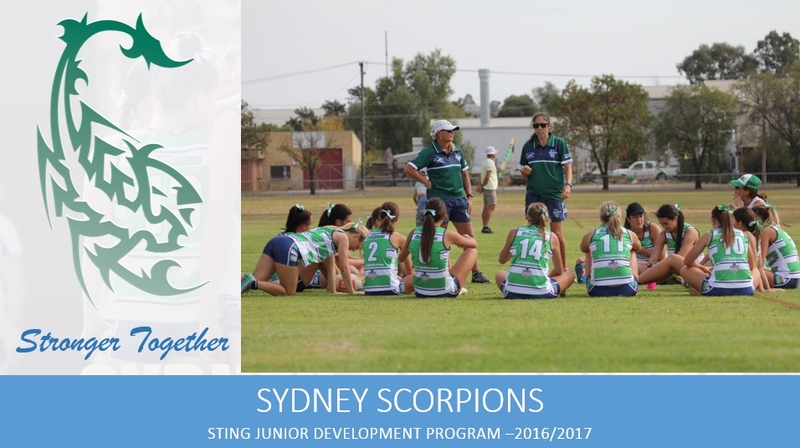 Sydney Scorpions are pleased to announce the launch of their 2016/17 STING Junior Development Program. 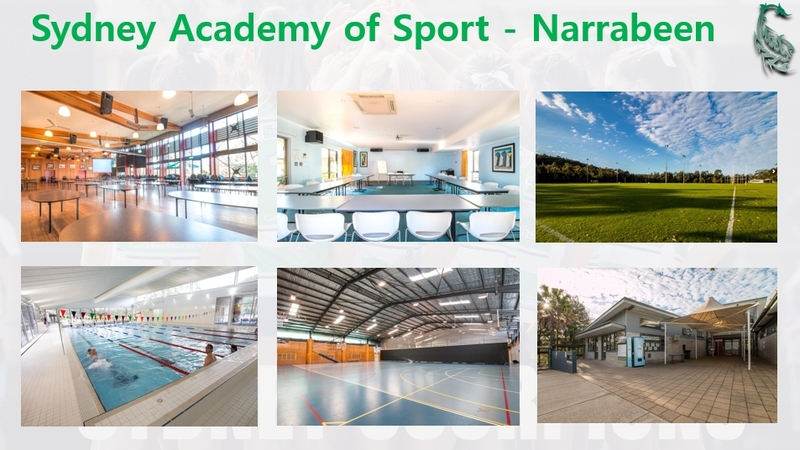 The program aims to up-skill and develop players and coaches both within Scorpions regional teams and additionally at local affiliate level with this newly acquired knowledge being taken back to local clubs at the grass roots level. 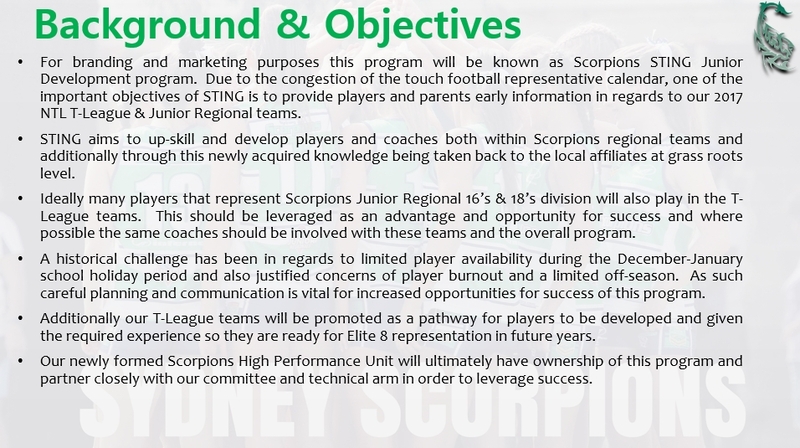 Scorpions Regional Director Anthony Dudeck & Technical Director Brad Mitchell are excited by the STING initiative and program. “We are extremely fortunate to have such a talented and motivated group of players and coaches within the Scorpions region and we owe it to the permit to further develop and enhance their skills. 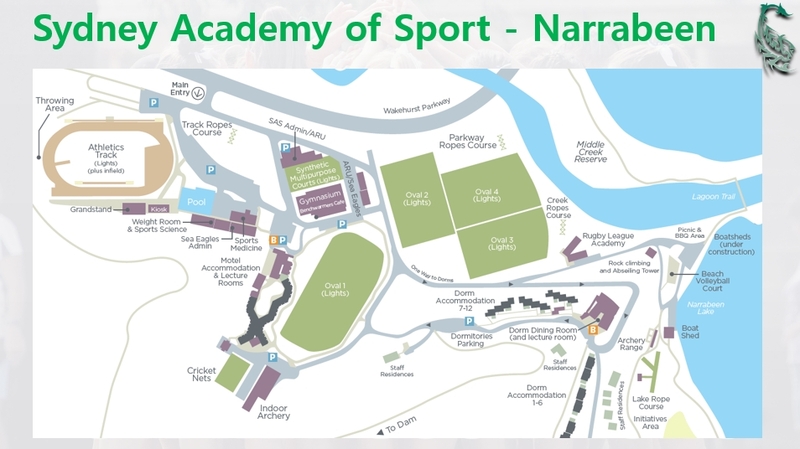 The sport of touch at a junior and elite level has continued to grow rapidly over the past few years and we are challenging ourselves to host the best development camp that has ever taken place. In the past we have experienced challenges through a congested touch calendar and a limited preparation for our Junior Regional and additionally T-League teams. 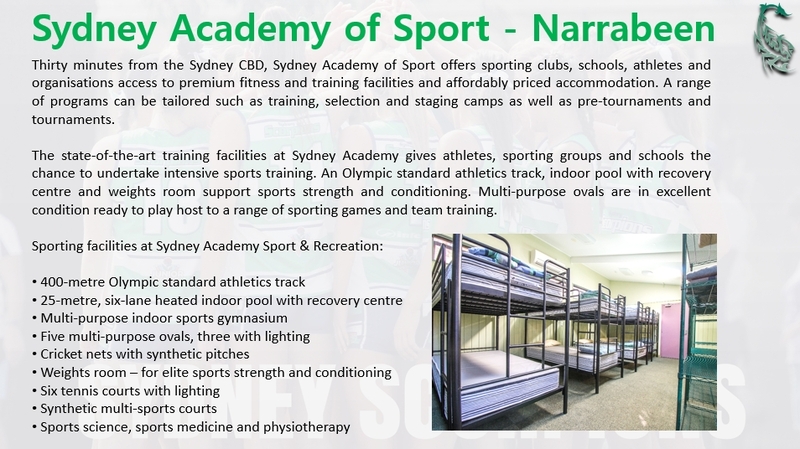 Therefore our aim is to get this information out to the players and parents as early as possible – we know they are hungry for communication and the feedback we have received to date on our new program and camp has been extremely positive”, explained Regional Director Anthony Dudeck. Not resting on their laurels of being crowned champion Junior Regional permit for the past seven years, Scorpions still believe they have room to improve as Dudeck explains further. 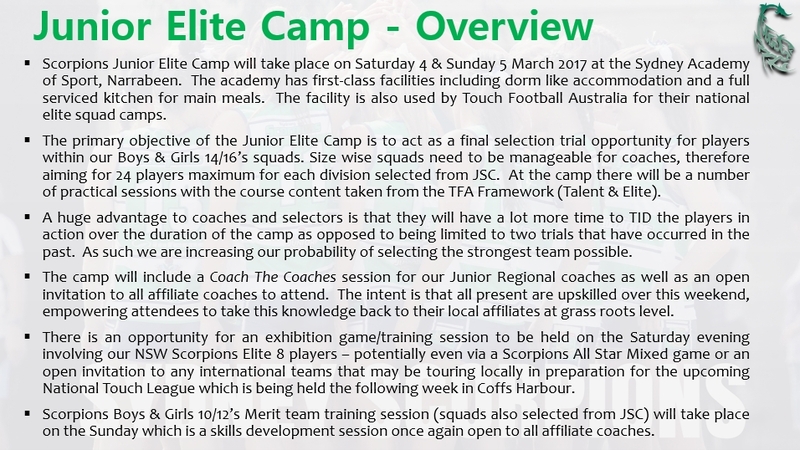 A most important factor of the weekend elite camp is to ensure quality is high whilst keeping the costs to players and parents low, therefore Scorpions will be looking to heavily subsidise the camp to make it affordable for all participants. Scorpions STING Coaching Team: Alex Ferro, Anthony Dudeck, Andy Windsor, Barry Gibson, Brad Curl, Brad Mitchell, Brandon McDonald, Carol Jones, Craig Beacroft, Dave Nolan, Jason Martin, Keith Lee, Keith Smith, Matt Lawson, Matt Scranage, Mel Mitchell, Peter Langmack, Tracey Elliot, Tua Marsters. 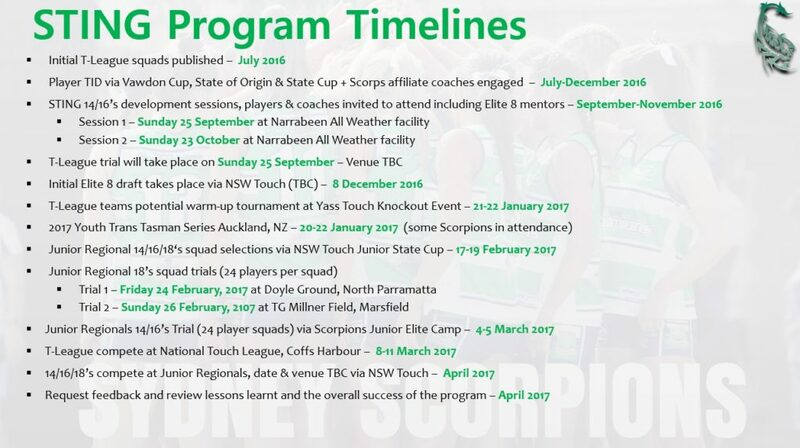 All Sydney Scorpions event dates can be found via our calendar which also includes the NSW Touch & TFA calendars found via Sydney Scorpions Events Calendar.